This photograph has been scaled down; full resolution photograph is available here (2,789 by 2,233 pixels). Doolittle and crew were assigned to the number-one B-25B. This was the crew he flew with on the raid to Japan April 18, 1942. 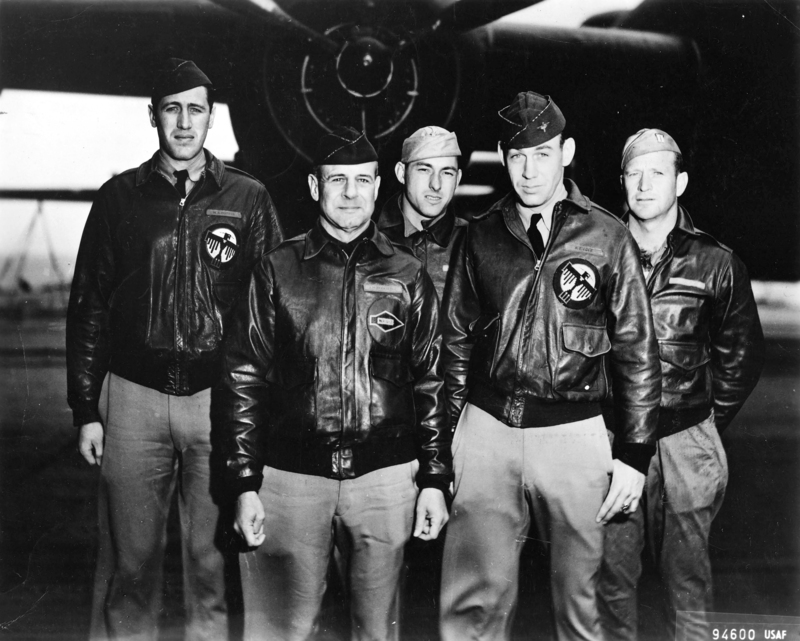 Doolittle was the first bomber to be launched at 0820hrs. The raiders tookoff in heavy sea, strong wind with heavy overcast.